Brendon Diamanti was named joint winner of the Olly Cooley medal. Diamanti shared the honour with Midland-Guildford batsman Stewart Walters, who received the medal for a second time. 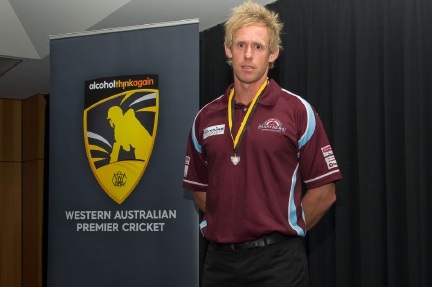 The medal is awarded to the best player in first-grade WA Premier Cricket as voted by the umpires on a 3-2-1 basis at each regular season game. Diamanti (34) finished fourth on the first-grade wicket-takers list with 37 dismissals at an average of 18.3, while he also contributed 429 runs at 35.75.